A collet is a workholding device that is used to keep an object in place. It is connected to the side of a CNC machine and used to keep a workpiece in place. As the collet is tightened, it clamps down on the object it is holding, preventing it from moving. Collets typically consist of two surfaces: an inner, cylindrical surface and an outer, conical surface. When the outer surface contracts, it causes the inner surface to clamp whatever object it is holding in place. They can also contain a star configuration of tapered gauge steel blocks that are held together by flexible rubber. 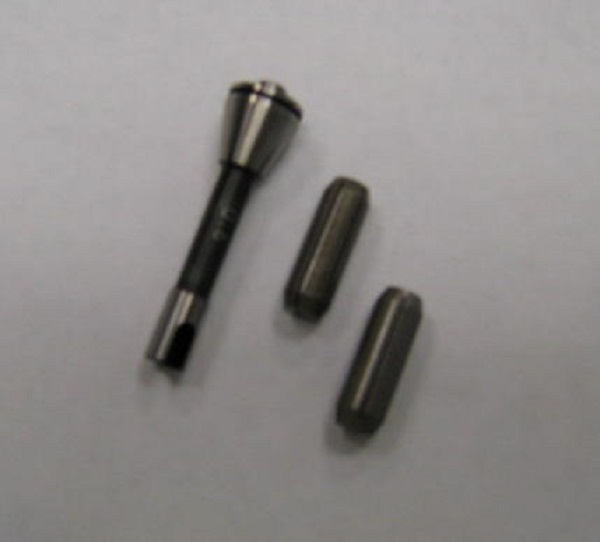 McWilliams supplies a range of EDM consumables, including many CNC collets, to meet your needs. Contact us today to learn more. CNC collets are the ideal workholding method for machining smaller parts. They are typically used with pieces that are less than 3 inches in diameter because of the additional tool clearance. This added space provides a more streamlined shape and reduced nose diameter. In addition to this, collets are also less prone to centrifugal force, meaning they provide more consistent gripping force. CNC collets offer support around the entire circumference of a workpiece, unlike chucks that only provide support at specific points. This additional support reduces the chance of part slippage and also helps to machine tubes and thin-walled parts. The evenly distributed gripping force also reduces the risks of pinching and crushing the workpiece. In contrast to a chuck, the machined part is closer to the headstock bearing with a collet, providing better rigidity, improved accuracy, and roundness. Many collets also offer longer lasting concentricity than chucks. Weight control is needed: collets are lighter and more applicable for applications where too much weight may overload the bearings in the machine. High levels of spindle RPM is needed: Jaw chucks are heavier, meaning it takes longer for the workholding device to accelerate up to speed. Collets provide faster acceleration time and more productivity. They are also not as affected by centrifugal force than chucks. Second-operation accuracy is a concern: Because of their clamping force that is equally distributed around the entire circumference of the part, collets provide tight concentricity and ensure precision clamping. Very small or very large lot sizes are produced: Collets have short changeover times, about 15-20 seconds, compared to the chuck changeover time which, even with specially designed quick change chucks, is still around 1 minute. This time saving adds up quickly when there are many small lot sizes or a very large lot size. McWilliams Sales & Services supplies high quality EDM consumables that improve the production of your EDM machines. Whether you’re looking for Japax collets, EDM electrodes, or other EDM consumables, we have the products needed for all of your applications. To learn more about our CNC collets, contact us today or request a quote.